Newport Beach City Council held their annual planning session Saturday in the community room at the civic center. 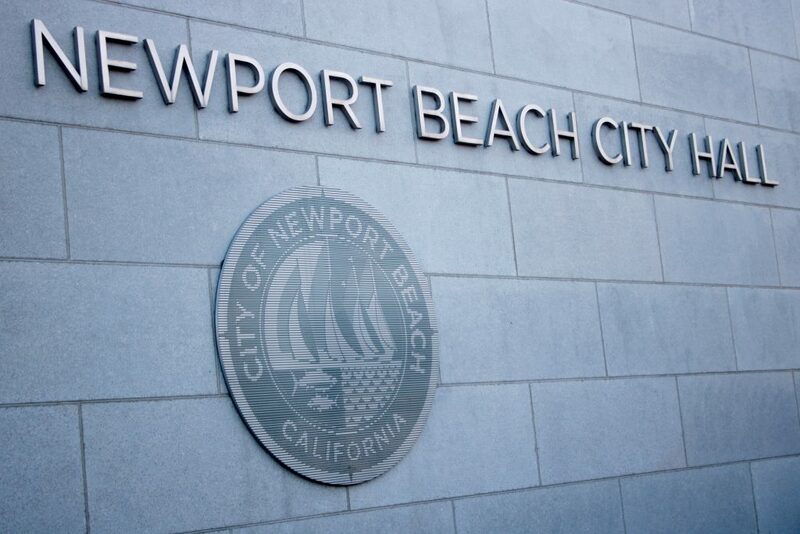 Newport Beach City Council provided feedback and direction to staff over the weekend on a few specific projects and efforts, including adding some code enforcement staffing. About 60 people gathered in the community room at the Civic Center on a rainy Saturday morning for the Council’s annual planning session. Councilman Marshall “Duffy” Duffield was absent. 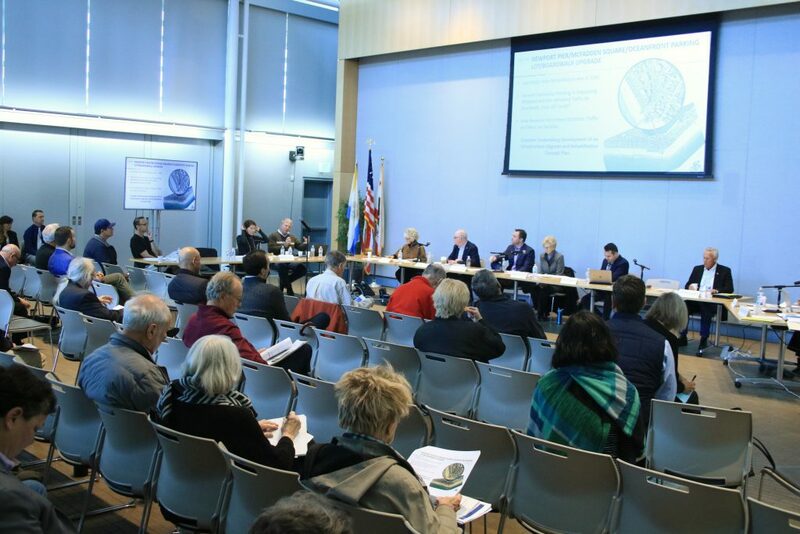 Mayor Diane Dixon noted that the planning session is a great way for residents and Council members to get an overview of how the city is doing financially, what projects are currently underway or planned, suggestions from staff, and feedback from the community. “It’s important that the community engage in what staff and the Council, your elected representatives, are working to do for the city,” Dixon said. One noteworthy discussion of the day revolved around code enforcement, particularly in Newport Harbor, and possibly adding another code enforcement full-time position. There have been calls in the past for more or better code enforcement by residents and some Council members, noted Community Development Director Seimone Jurjis. The harbor is a public asset and, as a city, they want everyone to be able to enjoy it, said Councilman Brad Avery. It’s really trying to get all harbor users to “play nice” on what is, essentially, a water park that has about 1,200 waterfront residents, he pointed out. 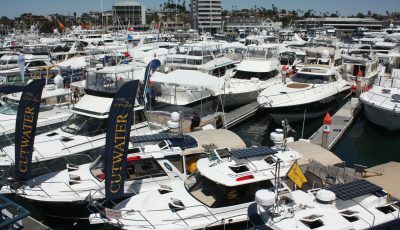 Newport Harbor for the last 20 or 30 years has operated with “virtually zero code enforcement,” commented Avery, a former Harbor Commissioner. A lot of code violations would not get called in because of the confusion over which agency to call (the city or Orange County Sheriff’s Department Harbor Patrol), no weekend city coverage, and other reasons, he explained. Concurrently, harbor usage went up dramatically, Avery continued. Code enforcement covering Newport Harbor was discussed Saturday during the City Council’s annual planning session. “The whole thing has gotten to the point where, I believe, full-time code enforcement is really needed,” Avery commented. 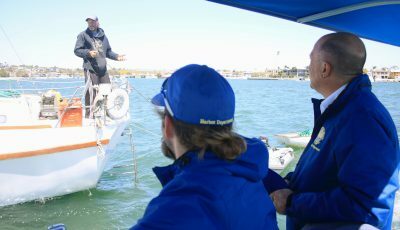 After the city took over management of the moorings from OCSD Harbor Patrol in summer 2017, Code Enforcement Supervisor Matt Cosylion was “loaned” to cover Newport Harbor. He covered the harbor on a part-time basis at first, but early last year the harbor became his full-time focus (while still being on loan). 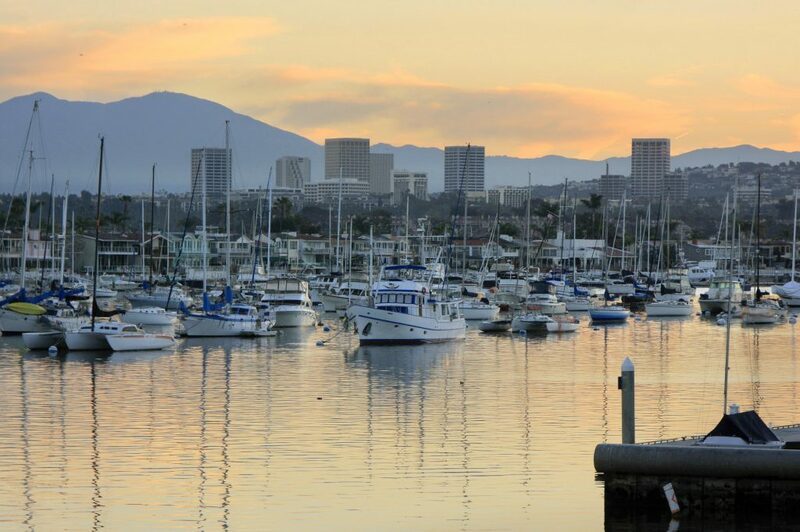 Last year the city also merged some related department responsibilities to create a new Harbor Department, increasing the need for dedicated code enforcement on the harbor. Cosylion has done a great job there, Jurjis noted. Cosylion has opened 740 code enforcement cases and closed 490 cases since July 2017, according to city data. There have been 141 verbal warnings and 541 written warnings. He handles correcting deficiencies with derelict vessels, vessel registration enforcement, live-aboard enforcement, code compliance with private docks and other harbor structures, and more. “It’s a key part of our new Harbor Department,” Avery noted. 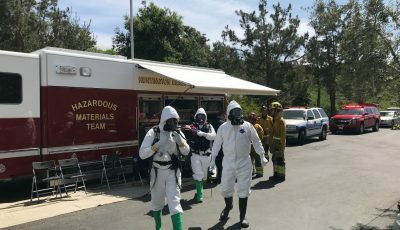 There isn’t anybody else on the Harbor Department staff that is capable of doing the kind of code enforcement activity that is required on the harbor, Assistant City Manager Carol Jacobs said. “Our concern with the harbor is that, with this new department, if Matt (Cosylion) goes away [back to his old position], and he was a loan and we understood that it was a loan, that that code enforcement goes away too,” Jacobs said. City staff is suggesting leaving Cosylion on harbor coverage and backfilling the code enforcement supervisor position. Staff is also recommending increasing code enforcement trainee hours to one full time position. Jurjis explained that this would increase cases processed by about 1,000 per year, or about 20 percent. It would also help the city be more proactive, rather than reactive in enforcement efforts, he added. 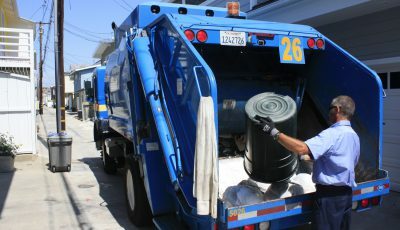 Although a few Council members noted that the city has historically been reactive, in terms of enforcement, and, as Jurjis confirmed, there is no backlog of cases and they could continue to hold the line with current staffing. Councilman Kevin Muldoon supported keeping things reactive. They aren’t “hall monitors,” he noted. Mayor Pro Tem Will O’Neill suggested the finance committee review the recommendation. 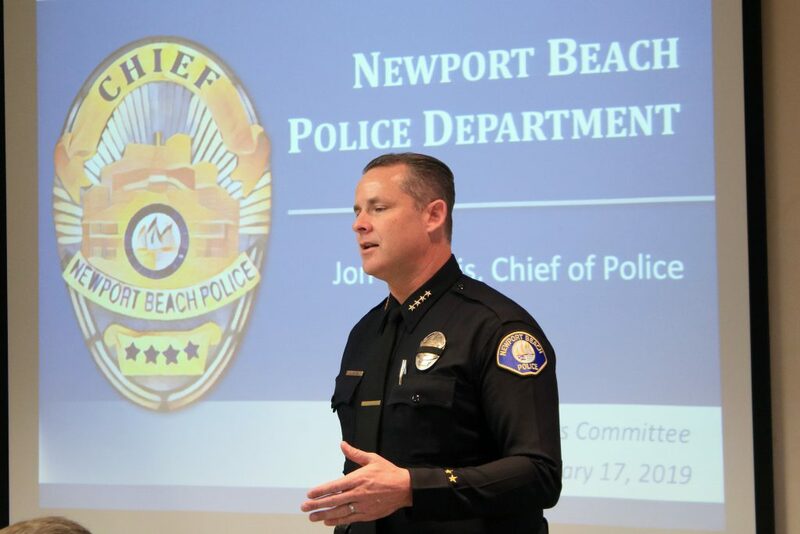 In another enforcement discussion during the meeting, Newport Beach Police Department Chief Jon Lewis suggested additional staffing to enhance traffic safety in the city. Newport Beach Police Department Chief Jon Lewis speaks at a recent event. Police are requesting two more full-time officers. Currently, there are eight full-time employees, which allow approximately 40 deployable motor officer hours per day. Increasing that number up to 10 FTE would increase traffic enforcement by about 25 percent, Lewis explained. It would enhance school safety efforts, increase traffic “hot spot” patrols, and augment enforcement of community quality of life concerns, he added. Motor officers wrote 5,700 citations and handled 1,750 traffic collisions in 20218. Reactions from Council members were mixed. Several agreed that the idea sounded worthy, particularly to improve quality of life issues and school safety. Others had some concerns about the potential costs. Saturday’s planning session also included overview of the financial state of the city from Finance Director Dan Matusiewicz. Matusiewicz reported a surplus of about $13 million, slightly up from last fiscal year. “This is pretty good economic news,” O’Neill said. Property tax, which accounts for about half of the city’s general fund revenues, are anticipated to reach $108.1 million this upcoming fiscal year. Revenue from sales tax, although expected to be slightly higher this fiscal year, is projected to “flatten” in 2020. Matusiewicz noted that the slight increase in 2019 is an anomaly. The shift to internet shopping and away from brick and mortar stores is a key contributor to the slow down, he added. Sales tax make up about 15 percent of general fund revenues. The third major source of revenue for the city (about 10 percent), transient occupancy tax, is expected to continue to modestly grow. The TOT revenue is projected to reach $23.4 million in 2019. Hoteliers are very optimistic, Matusiewicz added. Overall, staff expects around 3.5 percent growth on revenue compared to the previous year, slightly less than the 5.9 percent changed in 2018 when compared to the previous year. But there are still challenges, Matusiewicz noted, like the city’s unfunded pension obligation and funding infrastructure needs. The city’s motto concerning theses issues is to “address these problems early and often,” Matusiewicz said. City Manager Grace Leung also discussed managing service levels. Several possible projects in the Capital Improvement Program were also discussed, including street and landscape enhancements around the Newport Boulevard entry to the city and Old Newport Boulevard business district, a donation to the Boys & Girls Club renovation, Balboa Island drainage system upgrade, and renovating McFadden Square and Newport Pier (including possibly moving the restaurant building closer to shore). City staff also discussed the recent parking enforcement pilot program, reactive versus proactive enforcement, sidewalk and restroom cleaning, homelessness, airport-related efforts, and more.